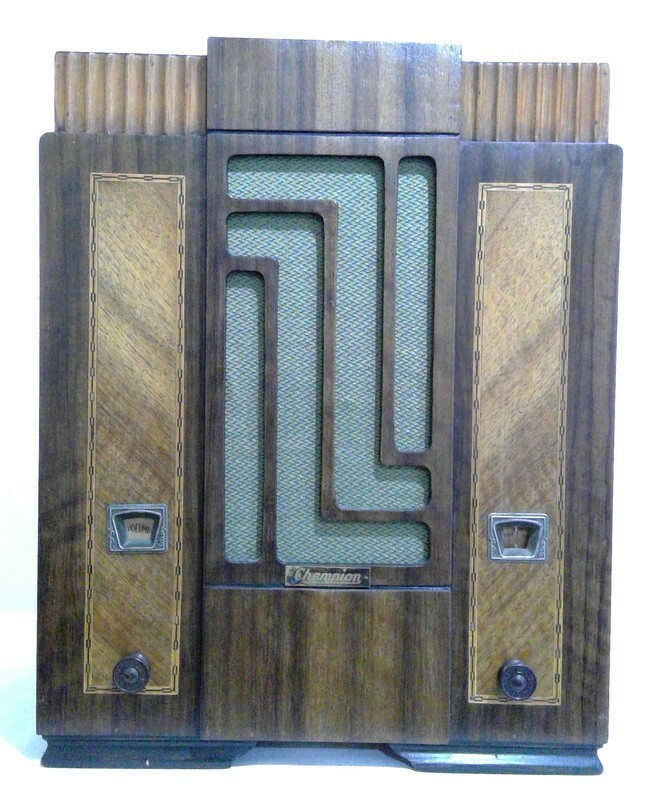 Radio manufactured by Wellmade Ltd, New Zealand. 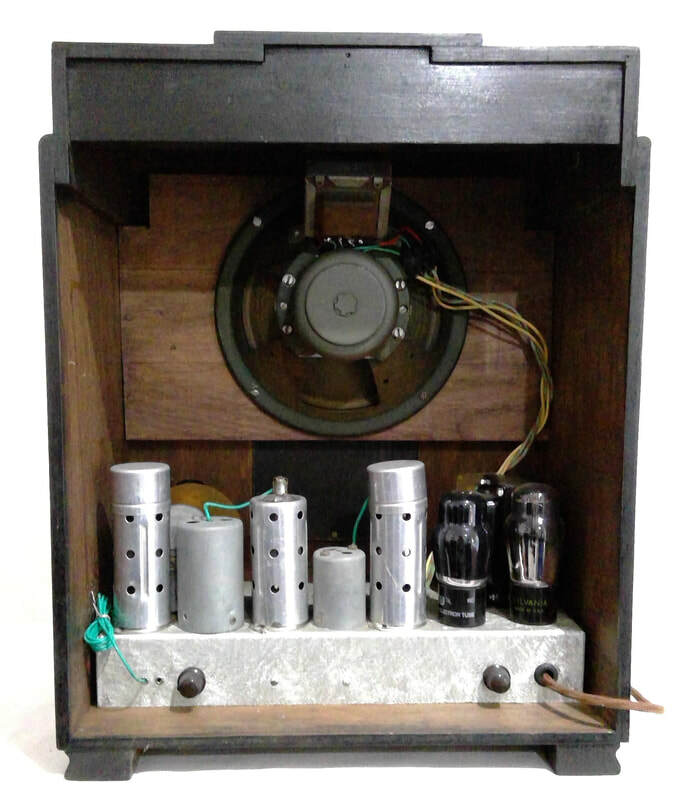 It is a super-heterodyne with a 5 valve line up. The style is an art deco, tombstone mantle, wooden case construction. Dimensions (HWD) 480mm x 380mm x 230mm.